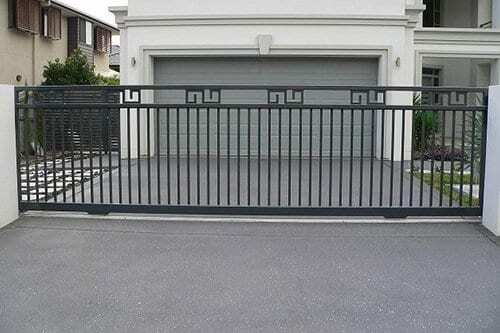 Sliding gates are one of the most popular choices for Brisbane homeowners looking for a space-saving, elegant and highly secure entrance into their home. 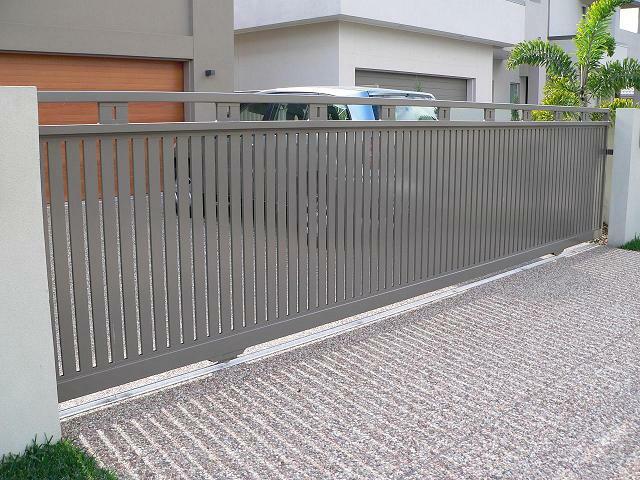 Sliding driveway gates not only look modern, sleek, and stylish, but they are convenient to use, safe and satisfy all your security fencing protection requirements. 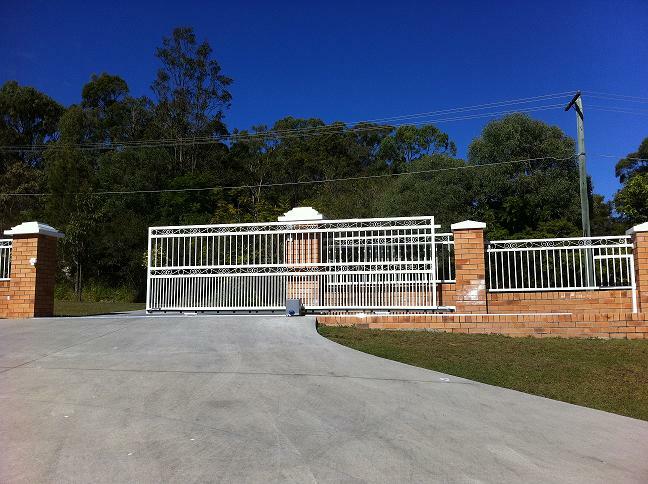 Singh Fabrications have been providing high quality automatic sliding gates in Brisbane for over 30 years. 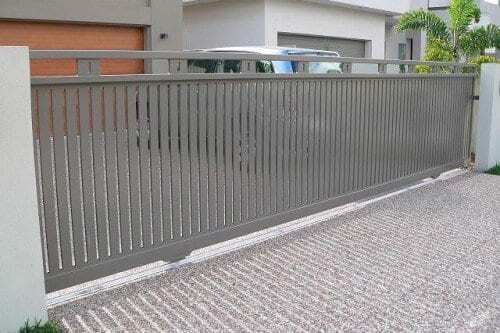 We can custom design and install the ideal fence for your home or business depending on your needs. Visit our showroom in Brisbane today to view our range of designs and have a chat about your requirements. 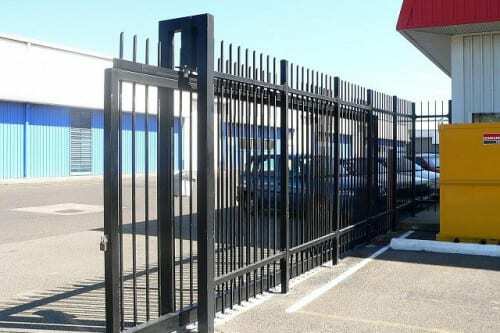 We’ll take you through the different materials, styles and approaches available so you get the perfect automatic sliding gate. Why Install Electric Sliding Gates? Electric sliding gates generally only require one motor to operate, as opposed to the two motors required for a pair of swinging gates. This represents substantial cost savings for you on top of saving more space by not requiring room for the gate to swing out. Aluminium, which looks modern and sleek as well as being tough, low maintenance and long lasting. 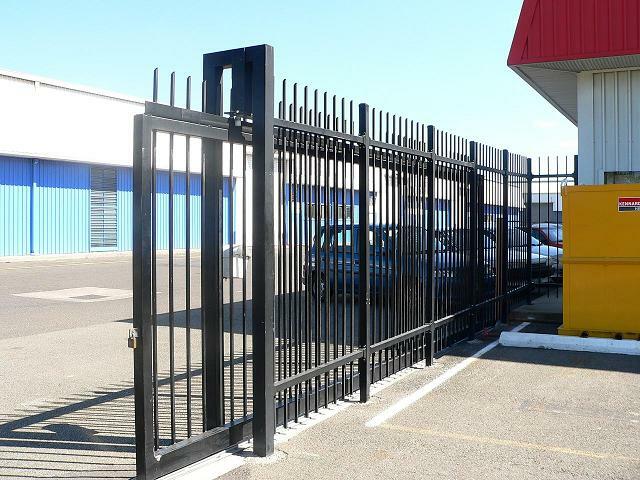 Steel, which is excellent for areas with restricted parking areas and those looking to make a bold impact with their gate design. Our automatic sliding gates are all anti-corrosion, ensuring they last a lifetime and require very little maintenance other than hosing them down if they get too dirty. If installed properly, automatic sliding gates are one of the most effective forms of protection against break ins. We guarantee the quality of our gates 100 per cent so you can be sure it is crafted with the highest quality materials and workmanship. Each project is custom built to meet both the customer and site specifications and to comply with the Australian Safety Standards and Building Codes. 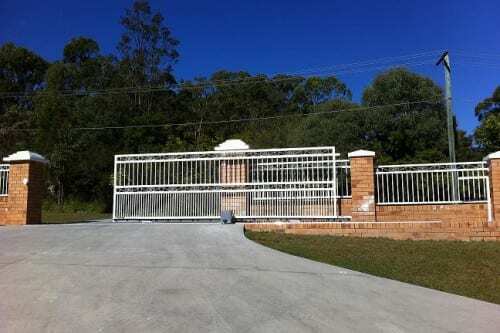 To find out more about our custom electric sliding gates in Brisbane or if you have any questions, simply get in touch with our friendly team. We can provide you with a quote and information about our materials, colour range and design approaches. Check out our FAQ page for more information about our services.